An air of optimism but for Spain it was despair on the morning of Saturday 20th May, as play progressed in the semi-finals of the Men’s events at the 2017 World Para Championships in Bratislava. In Class 3, Miguel Rodriguez and Eder Rodriguez experienced a two-nil defeat at the hands of Germany’s Thomas Brüchle and Thomas Schmidberger; at the same time in Class 10 José Manuel Ruiz and Jorge Cardona experienced the same fate when opposing Russia’s Pavel Lukyanov and Iurii Nozdrunov. Facing Thomas Brüchle and Thomas Schmidberger, silver medallists at the Rio 2016 Paralympic Games, Miguel Rodriguez and Eder Rodriguez made the better start. They won the first two games of the doubles but that was to prove their only success. The German duo responded to record a five games win (10-12, 10-12, 11-5, 11-4, 11-9), before Thomas Schmidberger overcame Eder Rodriguez (11-2, 11-3, 11-3) to conclude matters. In the final the Germans face the Ukraine duo of Vasyl Petruniv and Oleksandr Yezyk; guided Vasyl Kushuir, they accounted for the Austrian pairing of Manfred Dollmann and Egon Kramminger by two matches to nil. The doubles was secured in four games (11-8, 8-11, 11-5, 11-9), before Vasyl Petruniv overcame Manfred Dollmann by a similar margin to secure the victory (11-3, 11-5, 9-11, 12-10). Disappointment in Class 3 for Spain; it was the same in Class 10, a contest which was arguably closer than the two-nil margin may suggest. Both matches went the full five games distance. Pavel Lukyanov and Iurii Nozdrunov beat José Manuel Ruiz and Jorge Cardona (11-13, 11-5, 11-6, 4-11, 11-7), before Iurii Nozdrunov withstood a brave recovery by José Manuel Ruiz (11-6, 11-9, 8-11, 8-11, 11-8) to seal the victory. In the final, the Russians meet Poland, the two-one winners against France. Patryk Chojnowski and Igor Msztal gave Poland the perfect start by beating Mateo Boheas and Benoît Grasset (11-5, 11-7, 11-9), before Benoît Grasset overcame Pawel Jablonski to level matters (8-11, 11-8, 11-9, 11-6). However, there was to be no memorable French recovery; Patryk Chojnowski accounted for Mateo Boheas (13-11, 11-9, 11-7) to end matters. Defeat France, conversely at the semi-final stage in Class 4 it was success. Maxime Thomas and Florien Merrien overcame Thailand’s Wanchai Chaiwut and Niyom Nanchai by two matches to nil and now face Turkey’s Abdullah Ozturk and Nesim Turan in the final. Likewise, in the counterpart penultimate round contest, Abdullah Ozturk and Nesim Turan recorded a two-nil win in opposition to Slovakia’s Andrej Meszarosz and Boris Travnicek. 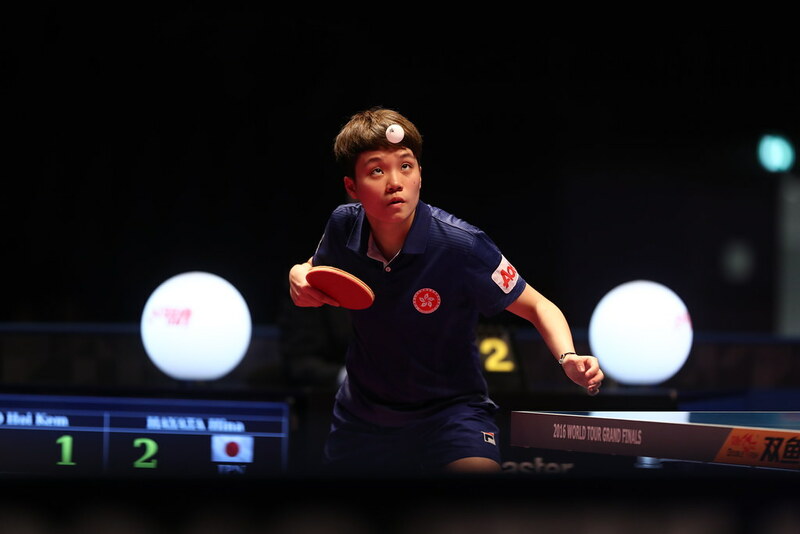 Men’s events very much to the fore; on the concluding day of play there is one Women’s title to be decided, Brazil will meet Turkey in the title decider. At the semi-final stage with Raphael Moreira, the coach, Brazil beat Croatia by two matches to nil. Bruna Alexandre and Danielle Rauen combined to win the doubles against Mirjana Lucic and Sandra Paovic (11-8, 11-8, 11-8), prior to Bruna Alexandre overcoming Mirjana Lucic (11-2, 13-11, 11-5) to secure the place in the title decider. In the counterpart semi-final Turkey with Neslihan Kavas and Merve Demir on duty defeated the German combination of Lena Kramm and Marlene Reeg by two matches to nil.